President Trump on Friday continued to push for the construction of the U.S.-Mexico border wall. “Tremendous pressure is building, like never before, for the Border Wall and an end to crime cradling Sanctuary Cities. Started the Wall in San Diego, where the people were pushing really hard to get it. They will soon be protected!” Trump tweeted. Tremendous pressure is building, like never before, for the Border Wall and an end to crime cradling Sanctuary Cities. Started the Wall in San Diego, where the people were pushing really hard to get it. They will soon be protected! 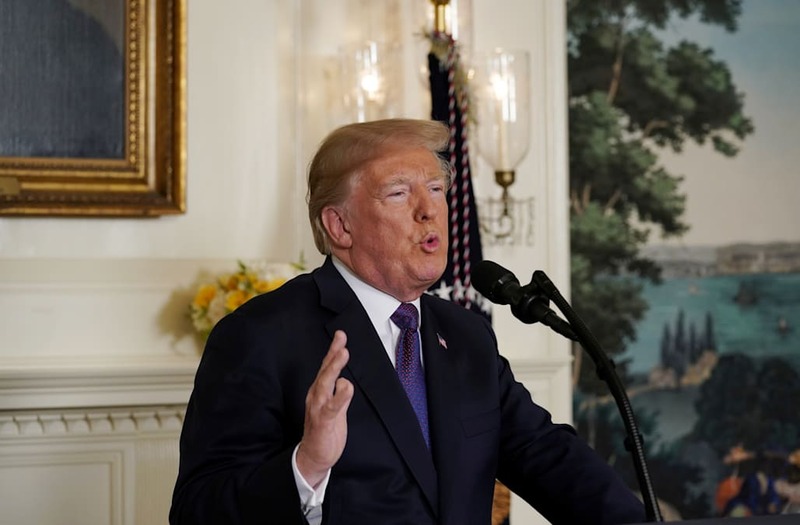 Trump, who reportedly requested $18 billion in wall funding, has faced much criticism from his supporters for accepting a budget that included only $1.6 billion for the effort, notes Politico. Ronald Vitello, the acting deputy commissioner of U.S. Customs and Border Protection, told reporters last month that the money would be used for wall replacements and the construction of new sections. Trump’s Friday tweet was only one of many he has posted about the wall in recent past. ’Mexico is doing very little, if not NOTHING, at stopping people from flowing into Mexico through their Southern Border, and then into the U.S. They laugh at our dumb immigration laws. They must stop the big drug and people flows, or I will stop their cash cow, NAFTA. NEED WALL," the president tweeted on April 1.